You know, nothing's ever going to last forever. Yeah, even that painting work you did years ago. And forget about what those salesmen said, most times there are no guarantees, just estimates. How long painting would last depends on several factors. The quality of surface preparation, the quality of paint used and the amount of exposure to the sun are just some of them. But you need to know when exactly you should start repainting, right? Check out these pointers. If paint starts fading away, then you know it's reached its end point. It's taken in just too much beating and it just can't hold it any longer. But there's nothing magical about fading. If you pay attention to more of the key details, you'd know your home painting is going to fade, sometimes even faster than it's supposed to. Here are a few things that make your paint fade. This is top on the list. Where your home is located should be a factor when choosing a type of paint. But many people don't take that into consideration. Here's the thing, there are weather conditions that are peculiar to your area so not all paints are going to work with your home. If you fail to plan, you're most likely planning to fail. That's what happens when you don't get your surfaces ready for painting. It's going to fade faster than you expected it. Most times, prep work takes up to 40% of the paintwork budget. Don't try to cut costs because you need a perfect prep work. The sun's UV rays damage paint. If your home is exposed to a lot of sunlight, the paint could fade faster. 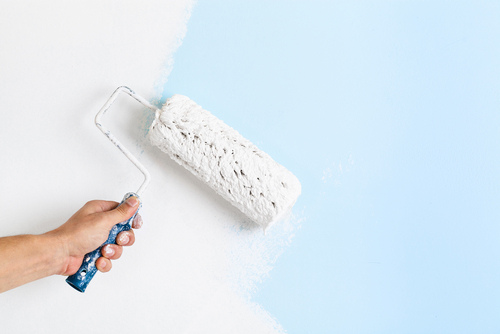 If you're seeing fragments of paint on your walls, nine times out of ten, it's time to repaint. That's because paint doesn't peel or break on its own, there are tons of reasons it does. If you're seeing some of these signs, then you know peeling would soon start or it'd get worse. Look at some of them. If you didn't get debris off your surfaces during sanding, then it might affect your paint. Some paintings don't really have problems with dirt, but if you're going for water-based coatings, you should know you'd get poor adhesion and then peeling begins. And I'm talking surface temperature here. If it's too hot before painting starts, it weakens adhesion. Not all paint types are going to blend with your home. If you're going for an oil based coating, then you should know it's not going to get along well with your steel or concrete structure. Even if you follow all the best practices, your painting isn't going to last forever. When its time is up, it'd start peeling. It's good to get a clean surface before any painting starts. But remember, for adhesion to take place, you need a little friction. If the surface is too smooth, repainting may just be around the corner. 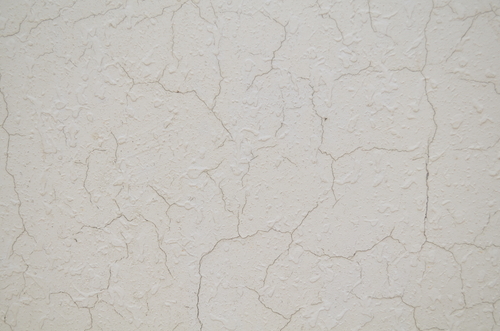 If your paint has started peeling, you may not know because mold growth may have covered everything. 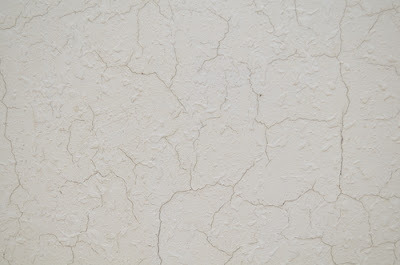 Molds form when surfaces are exposed to moisture and that's what happens when your paint breaks. The common ones you'd see are the white, black and brown variants so you should watch out for those. At the risk of sounding like a broken record, here's that sound bite again, that paint wouldn't last forever. If you can do a good job of predicting how long it'd last, you're on your way to knowing when you should start repainting. But that's the problem. If you just moved into your home or you didn't do the painting yourself, it's difficult making a good guess. Here are a few tricks you could use. 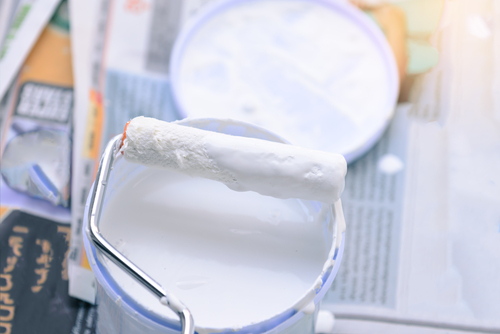 When the paint is still in the can, check if it's a latex or an oil based paint. If it's an oil based paint with a good seal, you're looking at something that'd last more than fifteen years. If it's latex, it's just about five years but that's if it hasn't been stored below freezing temperature. You'd be done in three minutes. Open up the can carefully and try stirring for a few minutes, if it's mixing well, you have a good product on your hands. If the can has been sitting on the shelf for several years and it's an oil based paint, it should last for another ten years. If it's latex, you're looking at five years. Know when your paint has completed its life cycle and you'd know when repainting should start. Nothing beats experience. If you're hiring a contractor who provides painting services, you should find out when you'd need to repaint. Most professionals are always happy to help. They'd run some checks and you should get a response in a few days. There's one thing you don't want when repainting, doing it when there are fluctuations. If there's sunshine in the day and rainfall in the night, you won't get that perfect adhesion. And hey, humidity matters too. If there's moisture on your surfaces, it'd weaken its compatibility with the paint. You don't want that. If you're still not convinced, check out some disadvantages of painting during those fluctuations. You need your paint to stick to those surfaces as fast as possible. That's why you need static temperatures. With those lows and highs, it'd take longer because dust and other particles stick to the paint. If you have wet surfaces, there'll be some mixing. Water and oil don't mix well so you'd get a paintwork that's already fading from day one. And I know, you've heard about those water repellent coatings. But trust me, it's not something you'd wish for in the long term. Seriously, do you want to be repainting every year? I guess not. You need your home looking beautiful year after year. That means you'd need to repaint after some time. But when should you do this? This post has all the answers!